Modular buildings are quickly becoming one of the most popular and modern ways to create your own office space. If you’re looking for a comforting and versatile environment for work or school, it is important to take modular buildings into account. There are a wide variety of options that you can choose from and you can completely customise their style to meet your every need. As one of the best prefab buildings that money can buy, these buildings are great for a variety of purposes. When you start researching modular buildings in the UK it’s important to remember that you have control over what your building is going to look like. Instead of choosing a commercial property that already has a specific style both inside and outside of the building, you’ll be able to design your new property from the ground up. This means you can choose from different exterior walls, flooring options, and even the light fixtures in the new modular building. This type of customisation is unheard of in the business industry unless you build your own commercial space. Prefab buildings are far more affordable than you think and once you’ve paid for the entire unit, you won’t have to worry about a lease or any other type of agreement. Aside from the price that you pay for the land that your outbuildings will stand on, you won’t be responsible for any property costs. This is perfect for people who are working on creating their own start-up business or that want to take away different overhead costs. 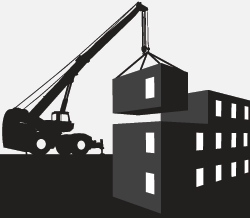 The versatility of modular buildings is unheard of when it comes to your general idea of modular properties. You can easily include bathrooms, classrooms, changing rooms, and several different offices, depending on your personal needs. You will have the ability to have a space that completely caters to you. A full quotation is supplied including delivery & Installation.